Hardly a week goes by without someone posting an article or blog about reaching millennials for the church, even though the real challenge may well be the internet generation, the next wave on the scene. We recognize that younger generations have their own distinctive interests, values, and styles. The face of the young adult population continues to change. Few seem to consider the changing face of senior adults and the impact this has on the church. If you watch television commercials directed to senior adults, you will see that the advertising community is much more savvy about this age group than is the church. They realize that not all senior adults are going to be playing golf or bingo (not that there is anything wrong with that!). In fact, senior adulthood may be both the best of times and the worst of times for those who have lasted that long. Although the traditional retirement age of 65 is no longer sacred, this is still the point of change for most senior adults. When one crosses this threshold, however, he or she is just getting started on a number of transitions. The first transition stage is made up of people who no longer “go to work” every day, but who are still very active and engaged. Many see this as a time to travel, pursue hobbies, and to enjoy setting their own schedules. Seniors in this phase are usually healthy and proactive about their choices. Many choose to invest their lives in working with the church, volunteering with not-for-profits, or taking care of family members. There are an increasing number of seniors in this phase, of course, who must continue some kind of employment to supplement their incomes. The church must be flexible enough in its ministries to find ways to connect with this diversity of life choices. The second transition stage is into a more sedentary lifestyle. Because of health concerns or having to care for an ailing spouse, this group of seniors tend to stay closer to home, but they are still very engaged in the life of the church. In fact, participating in church-related activities and services may be the highlight of the week. This is also a time when seniors invest in ministry with other seniors, taking the time to visit those who are not as mobile or involved as they once were. In this phase, seniors can perform a significant ministry on the part of the larger church body and their contributions should be recognized. There is of course, a third phase, when the senior adult can no longer care for himself or herself. Although family members and community resources come into play at this point, the role of the church is still important. The church can continue to care for, honor, and support those who are no longer as active as they once were. For those of us who are involved in church leadership, we must not forget that senior adults are an important part of the church. They are not just recipients of ministry. Most are still actively involved in serving and caring. Many senior adults may be involved in the life of the church into their ninth decade of life. In our efforts to engage a younger generation, we should not forget those on the other end of the life spectrum. I have benefited from a number of mentors in my life. Most of these were on an informal basis; others were supervisors who guided my work. On a couple of occasions, I purposely sought out a person to be my mentor in a particular area of expertise. They agreed to share information, suggestions, and life experiences with me. 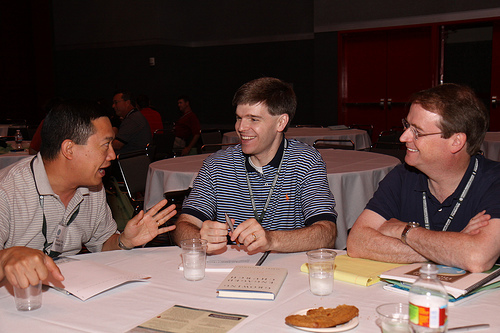 Mentoring is a very popular term today with a number of definitions and formats. Mentoring allows us to benefit from the skills and experiences of others as we identify our own strengths and areas of potential growth. The practice is important not only in corporations but for churches and not for profit organizations as well. Several of types of mentoring are suggested in a blog from the Harvard Business Review, and I have added one more. 1. Buddy or peer mentoring is much like an “apprenticeship” that helps a person “learn the ropes” in a new setting. Formal peer mentoring helps a new person to mesh into an organization, but much of this type of orientation and assimilation takes place informally. In a ministerial setting, we often find this type of mentoring with fellow students in seminary, other staff members, or in lunch or coffee groups with ministers in the community. Although this may be done informally, the process is very important to becoming oriented to a new ministry setting. 2. Career mentoring is very intentional in large organizations but ministers often must seek it out for themselves. The career mentor, who is usually not the person’s supervisor, serves as career advisor and internal advocate in an organization. 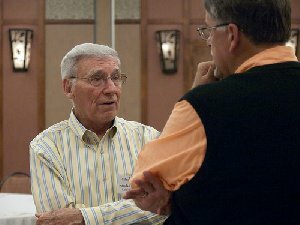 For those in ministry, the career mentor is often a former pastor, a seminary professor, or an older friend in ministry. Although this type of relationship develops naturally among male ministers, women in ministry often have to seek out such advocates. 3. Life mentoring is very important as one’s responsibilities grow. Everyone needs someone in whom he or she can confide without fear of bias. Such trusted mentors are sounding boards for career challenges such as changing jobs or pursuing a new place of ministry. Several years ago, I was asked by a realtor friend to join with two other people—both businessmen—to be his personal “board.” As trusted friends, we walked alongside him as he launched a new phase of his career. We were serving as life mentors. We all can and must take advantage of the opportunities to both learn from others and share our own knowledge and skills with them. Experts in psychosocial development claim that the experiences we have between the ages of 12 and 15 shape our values, world view, and beliefs. When I was that age, the President of the United States was Dwight D. Eisenhower. Because of that and the fact that he was the first Republican my parents ever voted for, my visit today to the Eisenhower Museum and Library in Abilene, Kansas, was especially moving. Eisenhower is the quintessential American success story, one of seven sons born on the wrong side of the tracks in a small Midwestern town who went on to become a military hero as leader of the Allied forces in Europe during World War Two, worked alongside figures like Franklin Roosevelt, Winston Churchill, and Charles DeGaulle, and served two Presidential terms during a time of both prosperity and unrest. 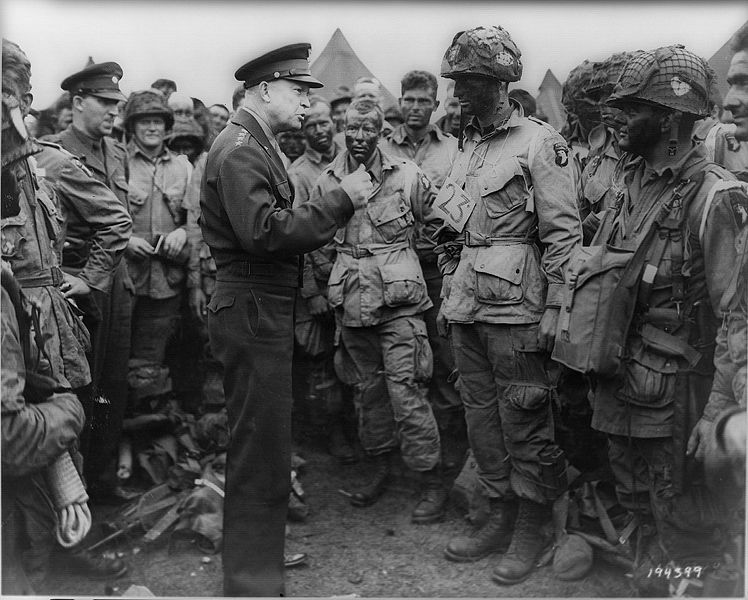 Those who were part of the Greatest Generation—men and women who fought and won the Second World War—saw “Ike” as one of them and rewarded him with their trust and admiration, overwhelmingly electing him twice to the Presidency. When he left after two terms due to Constitutional limits, one columnist wrote, “Eisenhower could be dead and he could still be reelected.” He was not only the President but a father figure in an “Ozzie and Harriet” and “Father Knows Best” world. “Every gun that is made, every warship launched, every rocket fired signifies, in the final sense, a theft from those who hunger and are not fed, those who are cold and are not clothed. . . .
As we think about the selection of the future leader of our country, perhaps we should reevaluate our priorities in light of President Eisenhower’s warning.